Olive Garden fans should feel free to eat as many breadsticks as they want. The restaurant's parent company can clearly afford it. Darden Restaurants (DRI), which also owns LongHorn Steakhouse, reported a bigger-than-expected increase in sales and profits Tuesday. The stock surged 4% and hit a new all-time high in the process. A big reason for the company's success? 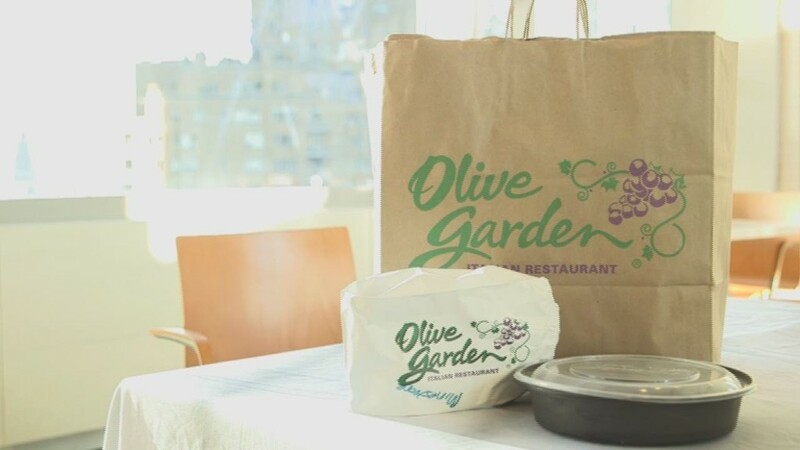 Darden's new management team is turning around Olive Garden. Activist investing firm Starboard Value Partners took a stake in the company at the end of 2013 with the aim of shaking it up. Starboard put out an epic slide show presentation detailing all the culinary sins it thought the company was making -- such as not salting the pasta water, putting excessive amounts of sauce on its food, and having non-Italian items on the menu. Investors clearly agreed. Starboard won control of the company's board at Darden's shareholder meeting in October. CEO Clarence Otis left soon after that. COO Gene Lee was promoted to the top spot, and Starboard CEO Jeff Smith became the company's chairman. And the company is now doing even more with its popular breadsticks, recently unveiling breadstick sandwiches. Darden also announced Tuesday that it plans to spin off its real estate assets into a separate company. Investors liked that news as well. Real estate investment trusts for consumer companies seem to be all the rage on Wall Street these days. Sears (SHLD) announced it was setting up a REIT last year and some analysts have suggested that McDonald's (MCD) should consider a REIT as well. But for average consumers and long-term investors, it still comes down to the food. Financial tricks can only do so much. Darden may have more work to do in order to convince consumers that the quality of Olive Garden's menu has improved. Lee admitted as much in the company's earnings release. He said Darden's "back-to-basics focus -- which is rooted in strong operating fundamentals around food, service and atmosphere -- is resonating with our guests." But he added that there is more work to do. And even though Olive Garden reported an overall sales increase of 12% in its most recent quarter and 3.4% jump in same-store sales -- Olive Garden may be relying too much on its regulars. Same-store traffic -- the number of people actually going to Olive Garden, rose only slightly in March from a year ago -- and traffic was down more than 2% in April and May. The chain increased menu prices nearly 2% over those three months. So what may be happening is that Olive Garden loyalists are okay paying more for fried lasagna and seafood Alfredo. That may not last forever. Darden may have a stock price that's as hot as a good Fra Divaolo sauce right now. But to stay that way, Olive Garden is going to have to find ways to attract more new customers.